Permanent Revolution Press is proud to announce the publication of a collection of some our best essays on Greece, OXI: Greece at the Crossroads. What follows is the foreword to this new volume. The book can be pre-ordered now and will ship in January. We are offering a special package for the holiday season. Any order for OXI:Greece at the Crossroads that comes in before January 1, 2016 will also receive a complimentary copy of Crackpot Philosophy and Double-Speak: A Reply to David North. The present volume brings together a number of essays that appeared on the Permanent Revolution web site [ http://permanent-revolution.org ] in 2015 when the class struggle in Greece reached the boiling point. The year began with the victory of Syriza in the elections of Jan 25, installing a self-described radical leftist government in office in Europe for the first time in several generations. The year is now ending with general strikes and a mass mobilizations of the working class against the Syriza led coalition government that returned to power in the second election of September 2015. The events between these two bookends are the subject of the essays in this volume. There are few precedents in history for the dramatic turns of the class struggle that were witnessed in Greece in those few months. The Russian Revolution of 1917 is one that comes to mind. But the outcome in Greece was very different. The country went from euphoria over the defeat of the right wing parties of austerity in January, to frustration with the compromising posture of the Syriza government in their negotiations with the EU from February to June. Tsipras’s sudden departure from the negotiations in Brussels at the end of June and his announcement of a referendum galvanized all the political forces in the country, both right and left, to a degree that has not been witnessed since the fall of the dictatorship in 1974. The week of the campaign for the referendum was memorable in opening a door, however brief, for the masses to have a say in determining their future. It was a taste, however brief and however ameliorated through the obscure language of the referendum itself, of what democracy looks like. For this very reason, it infuriated the elite of the European bourgeoisie and demonstrated very clearly the profoundly anti-democratic nature of the EU. It also unhinged much of the left. The sectarian groups did not know what to do about the referendum and denounced it as a “reactionary fraud”. This episode, which challenged the sectarians with a real problem of the class struggle in which their theory would be tested, saw the role of sectarianism passing definitively from being more or less irrelevant to being an accomplice to reaction. This was the role of the Communist Party of Greece (KKE) which told its supporters to abstain in the referendum. But a similar reactionary posture was embraced by a number of other sectarian outfits, some of which claimed adherence to Trotskyism. Two of the essays in this volume, Experience in Scare Quotes and The Working Class in Fantasy and Reality, analyze the twists and turns of one of these sectarian groups, the Socialist Equality Party of the U.S. The SEP began the year by denying the historic significance of the election of the Syriza government, then proceeded to label the referendum a “reactionary fraud” while – inconsistently - calling for a “NO” vote. They have ended the year trumpeting the big lie that they were the only political movement on the planet who foresaw the capitulation of Syriza before the EU. Although their political impact is negligible, the analysis of the SEP’s positions on Greece provides a good object lesson in the dangers of substituting sectarian formulas for revolutionary politics and therefore justifies its inclusion in this volume. Supplementing the disarray of the sectarians, the opportunists of the left were also caught up short and exposed during the week of the referendum. Chief among the opportunists were the spokespersons for the Syriza party itself who left no stone unturned in their attempts to portray the cynical maneuvers of Tsipras in a favorable light. Early on during that tumultuous week, a number of people associated with the right wing of Syriza came out openly for a “YES” vote in the referendum. And within the central halls of the government and among Syriza’s leadership the idea was being floated that the referendum should be cancelled. When this suggestion failed to gather any sails, the Syriza leadership reconciled themselves to the referendum but without any enthusiasm. They made no effort to mobilize the masses and were clearly hoping for an indecisive outcome, one that would give them some room to maneuver by claiming that whether the YES of the NO vote won, neither represented a real mandate of the electorate. But what actually happened was the worst possible nightmare for the opportunists in and out of the government. The landslide victory for the NO vote by a margin of 61.3%, with a much higher percentage in the working class districts, brought the Syriza government face to face with a working class that was loudly instructing it to defy the EU and the austerity regime. What happened next – Tsipras’s abject capitulation to the EU and his defiance of the mandate of the referendum – was entirely predictable. It was already inscribed in the contradiction contained within Syriza’s Thessaloniki program of 2014 that catapulted it to the dominant position of Greek politics. That contradiction – between the rejection of austerity and its insistence on remaining imprisoned within the iron cage of the EU, is the real topic of a number of the essays in this volume. It is first addressed in the two essays by Savas Michael-Matsas, Secretary of the Workers Revolutionary Party (EEK) of Greece, Letter from Greece and The Greek People Have Shaken the World. Savas’s articles are a masterful analysis of the historic importance of the election of Jan 25 and explain in depth why that election marked a turning point not only in Greece but in European politics as a whole. At the same time Savas examines the gulf between the aspiration of the masses who supported Syriza and the reformist illusions that marked all factions of Syriza. But Savas analysis does not stop at exposing the contradictions within Syriza but attempts to formulate a strategy for a revolutionary alternative without falling into empty sectarian gestures. We further explored the contradiction at the heart of Syriza’s program in the essay Plan C: The Socialist Alternative for Greece. In this essay we engaged with the ideas of one of the leaders of the left opposition within Syriza, Costas Lapavitsas. We tried in this essay to formulate a series of concrete proposals for what is the only viable alternative to austerity, a break from capitalism itself and a turn to socialism. We noted that while Lapavitsas as well as a number of other dissident members of Syriza recognized the hopelessness of the official government position – that they could remain in the EU and somehow end austerity, his alternative, a return to the drachma and reliance on native Greek capitalism – was just as much a pipedream as the official government position. The essays, Greece atthe Crossroads Part I and Part II, are a political memoir written by me as I participated in some of the key events in Greece in July when the struggle over the referendum reached its high point. Here I tried to relate from my own experience what was happening on the ground with an analysis of the forces at work beneath the surface. Time will tell how well I succeeded. I ended Part I with a snapshot of the then Chair of the Hellenic Parliament, Zoe Konstantopoulou, who joined revelers in the celebration of the landslide victory of the NO vote and who was positively beaming with delight. While Konstantopoulou is not a revolutionary socialist, she was probably the most principled member of the Syriza deputies in Parliament and refused to be silenced when she saw that the Tsipras government had betrayed its mandate. Part II of Greece at the Crossroads explores the immediate aftermath of the referendum. Here I attempted to explain why Tsipras betrayed. This is not such a simple question to answer as it seems. Unless one believes in conspiracy theories or simply ascribes to Tsipras and others the simple minded thesis that they are just “bad men” and corrupt, a serious Marxist analysis must grapple with how it is that a political leader who has spent two decades defining himself as a fighter against austerity could capitulate overnight. I also tried to examine the psychology that was behind the reaction of ordinary people to Tsipras’s betrayal. This kind of in depth examination of betrayal and mass psychology is of course anathema to the opportunist apologists for Tsipras, some of whom to this day refuse to call his actions a “betrayal”. It is also anathema to the sectarians for whom a betrayal of this magnitude is just another “I told you so” moment. The essay The Dialectics of Revolutionary Strategy and Tactics is the transcript of a talk I gave at the Locomotiva Café hosted by comrade Savas and the EEK. It was delivered in the immediate aftermath of the betrayal of the referendum. I tried in this talk to relate revolutionary strategy and tactics in a concrete way to some of the fundamental principles of dialectical philosophy. The events of that very day provided me with an incredible example of the dialectic of opportunism in practice. Plus ça change plus c’est la même chose, a cynical but superficial commentator could say. But nothing is the same: the government of the same partners Syriza/ANEL is not the same as the government that was elected on January 25, 2015, empowered then with the enthusiasm and hopes of the majority of the Greek people for an end to the nightmare of permanent austerity imposed by the troika of the EU/ECB/IMF. For the sectarians in our midst this observation makes no sense. Syriza was a party setting out to betray in January, and they are the same party of betrayal in September. For those looking to formulate a revolutionary strategy, the difference between the January election and the September election is decisive. Between these two events lies the high point of the class struggle in Greece and throughout Europe. While the heroic struggles of the Greek working class in the summer of 2015 failed to break Greece from the grip of EU-imposed austerity the Greek working class capacity for struggle has not been broken. This is clearly shown by the General Strike that shut down much of Greece in November of 2015. This general strike, coming two months after the second election of Syriza, was in protest against the austerity measures being instituted by the Syriza government. It is sign that Syriza has become the new PASOK. There are rich lessons to be learned from the events in Greece in 2015. We hope that this volume of essays makes a modest contribution toward that. I want to thank Savas Michael-Matsas and the comrades of the EEK for their contributions to this struggle and to our ability to learn from it. I also want to acknowledge the tireless work of Mitchel Cohen who shepherded this print version of our essays through to publication. The left is dead. This is a widely held view, particularly in North America, and even among those who count themselves leftists. And yet the need for a left has never been greater given the relentless rise of social inequality, to say nothing of the impending catastrophe of climate change, endless wars abroad and the choking off of democratic rights at home by the surveillance state. What you are about to read comes out of this void between reality and need. In fact the left isn't quite dead. Remnants of the last important radicalization, of the Sixties, are still around, typically in the form of tiny sects. There is something admirable about sticking to your principles and weathering long decades of isolation, as many of these sects have. The problem is that revolutionary movements don't exist just to perpetuate themselves, they exist to become catalysts for social change. A sect that has been in political hibernation for many years may no longer know how to wake itself up. Alex Steiner and Frank Brenner are both veteran socialists and former members of the American Trotskyist group, the Workers League, now the Socialist Equality Party. David North is the Chair of the Socialist Equality Party and is the head of the International Editorial Board of the World Socialist Web Site (WSWS). 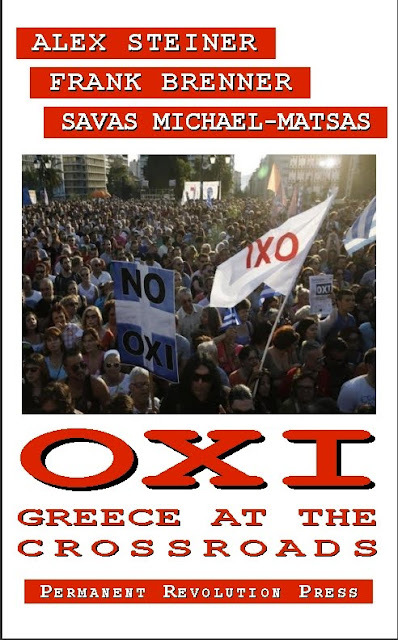 Savas Michael-Matsas is the Secretary of the Workers Revolutionary Party of Greece (EEK). The late Gerry Healy was for many years the Secretary of the Workers Revolutionary Party of Great Britain and its predecessor organizations. Healy, who died in 1989, was the subject of a scandal in 1985 when his abuse of party members became the topic of tabloid news headlines. He was expelled from the WRP but the organization did not survive long after his removal, splitting into many pieces, none of which have remained viable. North led a group of what had been the International Committee of the Fourth International (ICFI) opposed to Healy at the time of the split. The Frankfurt School was an important left-wing intellectual tendency that emerged in the 1930s. The best known names associated with it are Walter Benjamin, Herbert Marcuse, Theodor Adorno, Max Horkheimer and (for a brief time) Erich Fromm. The Frankfurt School figures in this polemic in a peculiar way: for North it is a short-hand for everything he despises among radical groups apart from his own, a very broad category he has christened the 'pseudo-left'. This use of the label, Frankfurt School, as invective is part of what Steiner calls crackpot philosophy. Why bother reading such a polemic? Why not just ignore these sects and get on with building a movement that can change the world. The answer is: you have to learn from the past in order to get beyond it. And, for better or worse, these sects are the only repositories of the left's past. Learning from their mistakes is essential to rebuilding the left. We want to thank Mitchel Cohen for his work in bringing this printed edition of our polemic to the public. To order the print edition click the button below. After failing to respond for the last 6 years to the document The Downward Spiral of the International Committee where I exposed the smear campaign waged by the WSWS against me, we finally heard from David North himself on July 21, 2015 in Part One of a 3 part foreword to a book called “The Frankfurt School, Postmodernism and the Politics of the Pseudo-Left: A Marxist Critique”. There is nothing new at all in Part one of his foreword, which supposedly deals with theoretical issues. North is apparently relying on the fact that few if any of his followers will bother to read Downward Spiral. And he is probably correct in thinking that since it is well known that questioning of the leadership of the SEP is considered something akin to an act of treason. North writes that he is responding to what he considers our ‘principal documents’, On Why Utopia is Crucial to a Revival of Socialist Consciousness, Objectivism or Marxism and Marxism Without Its Head or Its Heart. He very deliberately leaves out of his of list of our ‘principal documents’, the document I wrote that refuted all his misrepresentations about the Frankfurt School and our relationship to it, namely, Downward Spiral. He also leaves out my earlier document, The Dialectical Path of Cognition,  whereby I dealt in detail with Plekhanov and how North’s adoption of Plekhanov’s distortion of Marxian dialectics has everything to do with the ICFI’s retreat into a reactionary sectarianism. North’s thinks he can simply repeat his accusations without ever acknowledging that they have been answered. To appreciate the level of dishonesty involved here it is necessary to think about what kind of mental gymnastics must be involved in writing a polemic in which you are making the same points against your opponents not for the first time or even the second time, but in many cases for the third time. And you frame your argument, for the third time, as if your polemical opponents never responded to you on either the first or second occasion. Worse still, North does not even mention the existence of the book length polemic I wrote in which I answered him, Downward Spiral. Only someone whose mind has been corrupted by pure cynicism could argue in this way. Given that there is nothing new in North’s remarks in Part One of his forward that has not been answered in Downward Spiral in great detail, I see no reason to repeat what I wrote there. Those who are interested in reading our response to North will do so. As for the coterie of true believers whom North has cultivated who will not bother to read our response I wish them luck in finding their bearings. They will need it. So let me clarify what the permanent-revolution web site is and what it is not. First of all, it is not a ‘blog’ in the usual sense. We are not writing occasional musings as most blogs do. It is a repository for serious reflection on important issues of Marxist theory and practice. And no, it is not an online newspaper like the WSWS with its “5000 articles annually”. We post an article on it occasionally, when we think that we have something significant to say that has not been said by others. And we also occasionally post articles by others that we think deserve further exposure either because of their unique contribution to theoretical issues or because we felt their political analysis deserved a hearing – even if in some cases we do not agree with everything in a particular essay. And while we do not have the budget or the staff of the WSWS I think I can say that the best of our articles are superior in theoretical depth to anything you will find in the 5000 annual articles produced for the WSWS. Also in the stable of WSWS productions I would add philosophy except that there is almost nothing on philosophy! By my estimate, the average number of essays on philosophy is about one a year. That’s a pretty meager output considering there is that impressive figure of 5000 articles per year in total. I suppose this phenomenon gives new meaning to Marx’s famous book title, “The Poverty of Philosophy”. There was an essay North wrote a decade ago about which I commented in my essay A case study in the neglect of dialectics. There was also a review of a book about Hegel written back in 2009 by someone named Alexander Fangmann. I notice that Fangmann still writes news articles for the WSWS but he never wrote again on anything remotely connected to philosophy. And oh yes, there was a polemic written against us about 7 years ago by someone named Adam Haig whose byline seems to have disappeared from the pages of the WSWS. It had to do with Marcuse and was an ok grad school type term paper that summarized the conclusions of some books he had read but had nothing to do with anything we had written. He combined this with some gross distortions of our positions and also wrote an ill tempered personal attack on me after we wrote a brief response to his article. The only other contribution from Mr. Haig that had anything to do with philosophy was a review of a lecture by Slavoj Žižek that he wrote in 2010. The last article by Mr. Haig that appears in a search of the WSWS archives was a review from 2013 of a movie about superheroes! It seems that there is some kind of pattern of allowing student recruits to write one or two articles on an intellectual topic that interests them such as philosophy and then consigning them to the yeoman’s job of producing news articles and some of the lighter cultural fare. After all, someone has to be tapped in order to make that quota of 5000 articles per year. The paucity of anything on philosophy or of any serious theoretical material for that matter (Nick Beams’ occasional pieces on economics are largely repetitious and never touch on any of the current controversies raging among Marxist economic theorists) is not an accident. It is the outcome of a policy within that movement in which theoretical questions and education are ignored if not actively discouraged. We addressed this matter in Chapter One of our polemic from 2006, Marxism Without its Head or its Heart, where we commented on the fact that North could cite only one article on philosophy that he had written in a span of 10 years. We cited Trotsky who, in addressing the American Socialist Workers Party, spoke about “the necessity of persistently propagating dialectical materialism” among the cadre. We made the point that one article in 10 years, even if that one article was a masterpiece in its exposition of the philosophy of Marxism, is not exactly living up to the standard of “persistently propagating dialectical materialism”. Before concluding a review of the WSWS’s features in the area of philosophy I should say something about North’s unique contribution in this area. Here I want to comment not on North’s defense of Plekhanov. There is nothing unique in that and in any case we are still waiting for the comprehensive response to our critique of Plekhanovism that North promised us more than a decade ago. What I wish to address now is North’s unique interpretation of the historical influence of the Frankfurt School, the role it had in the rise of postmodernism, and the noxious conclusion in the development of what North calls the “pseudo-left” of which Frank Brenner and myself are his prime examples. I already exposed the fact that North’s interpretation of the history and influence of the Frankfurt School and postmodernism is made up out of whole cloth and has no basis in a serious study of these movements. If you want to see the details of that read Downward Spiral. But in thinking about it I see that simply saying North’s account is historically inaccurate is inadequate. His fallacious account of some recent intellectual history includes something quite original that I think warrants our attention. It is a type of narrative that, while having no scholarly value, deserves a prominent spot in the footnotes of a Wikipedia article some time in the future as one of those strange historical curiosities of the post 9/11 era. It is a kind of conspiracy theory of the history of philosophy that we see here and this type of history is endemic to cults and to and individuals cut off from research institutions. (This is not to imply that there is not a lot of nonsense coming out of academia as well.) It is the kind of “theory” you expect to get when there is no give and take, when there is no one around to challenge you or to give you a good argument. There is as yet no name for this trend in the history of philosophy. But in the field of economics we have long had the term “crackpot economics”. This was used to describe the “theories” of right wing “supply side” economists. But it is even more appropriate to describe the various theories that are prominent on the Internet propounded by the “Gold Bugs”, those people who believe that the only real value in the world is gotten from gold and there has been a conspiracy by the world’s elite to deprive everyone but themselves of this metal. Something analogous to “crackpot economics” has been developing in the field of philosophy although it does not as yet have a name. The best example of this genre that I can think of, until North came along, was the philosophy of Ayn Rand. Rand, a very bad writer whose novels appeal to adolescents who feel their talents are not sufficiently appreciated, coined the term “objectivism” to describe an eclectic series of ideas celebrating the virtues of selfishness and defending wealthy businessmen whom she depicted as victims of an egalitarian society. The cult she started has attracted many people of prominence, including the former chair of the Fed, Alan Greenspan. Rand and her followers sought to give academic legitimacy to her philosophy of objectivism, participating in academic conferences and occasionally recruiting a professor or two to engage in debates with supporters of ‘objectivism’, as if this bastardized set of prejudices is on the same level as the philosophy of a Kant or a Locke. One of the idiosyncrasies of Rand’s objectivism was the depiction of Kant as the epitome of Satan in the history of philosophy. The Rand cult cannot stand Kant because his ethics emphasized the demands of duty over those of self interest. That was a cardinal sin as far as the objectivists were concerned and has infected philosophy ever since. North’s narrative of the terrible legacy of the Frankfurt School fulfills a similar role in the mindset of his followers. It is a story that gives them a pat answer to all their questions and manages to lump all their opponents into the convenient grab bag category of the “pseudo-left”. It is basically nothing more than a simplistic morality tale with a lot of esoteric citations to works that they will never read thrown in to impress his followers. In Downward Spiral I made the point that North’s interpretation of the Frankfurt School and its universally corrosive effects on academia as well as politics is eerily symmetrical with the right wing attack on the 60’s generation and its culture by Alan Bloom in his Closing of the American Mind. 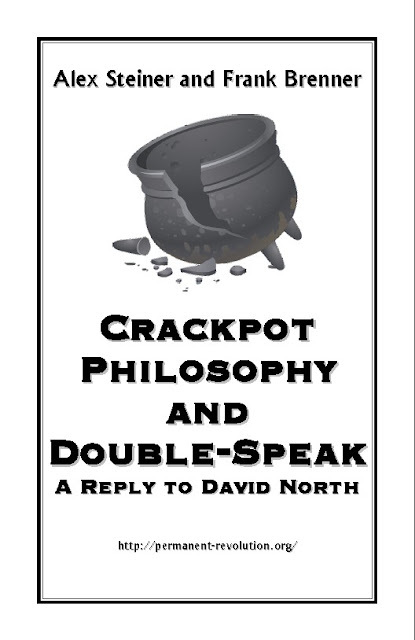 I would like to baptize this genre in the history of ideas as “crackpot philosophy” and I think North deserves an honorable mention in its pantheon. Years from now North may be remembered, if at all, as one of the more original contributors to this genre. That will be his legacy. It is rather North’s dishonesty that is politically obscene. To untangle this web requires a bit of historical background. 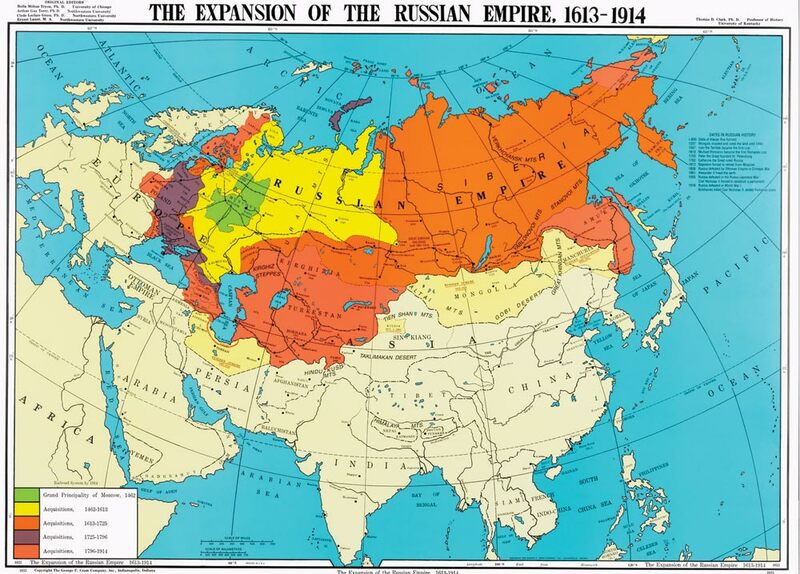 About a year ago we drew attention to the WSWS’s confused discussion of the nature of Russia and China. They have repeatedly denied that either Russia or China were imperialist nations, though they have been less than forthcoming about what they thought they were. We have commented on this previously so I will not repeat it except to make the point that they have developed an entire “theory” about the nature of Russia and China that is not only inconsistent, but has absolutely no original research behind it. Not to mention that it is dead wrong. Contrast that with the research Lenin presented in developing his theory of imperialism or that Trotsky worked through in developing his understanding of the nature of the Soviet Union as a deformed workers state. We brought attention to the ICFI’s “theory” of the nature of Russian and China because it is not only an indication of their theoretical vacuum but is also used as a justification for their line supporting the Putin regime. Any examination of the WSWS coverage of Russia in the last few years cannot help but observe that any incipient movement against Putin has been denounced in the most vigorous terms as “middle class” or part of an “imperialist provocation”. Unlike North, we do not wish to oversimplify complex situations. We readily grant that in all the movements opposing the Putin regime there have been elements of imperialist provocation and middle class confusion. But that is certainly not all there was to these movements, for instance, the protests against Putin leading up to the elections in 2011. There was a genuine and spontaneous movement against the dictatorial regime of Putin and the oligarchs. The responsibility of Marxists in such a situation is to provide a direction for struggle against the Putin regime independent of and opposed to the machinations of imperialism. The ICFI to its shame did not do any of that. Instead it flagrantly adapted to the Putin regime, denouncing the demonstrators in the same language used by official Russian government propaganda. In this the ICFI borrowed a page from the handbook of the neo-Stalinist Workers World Party who for decades have justified their support for various dictatorships by calling them “anti-imperialist” and slandering their political opponents as supporters of imperialism. The International Committee has subjected the program of self-determination to a detailed critique, proving, on the basis of numerous examples, that it has served—particularly in the aftermath of the dissolution of the USSR—either as a mechanism for the imperialist-sponsored dismemberment of states targeted for intervention or as a means of enriching a particular faction of a national bourgeois elite. I don’t doubt that the International Committee has rejected the slogan of “the right of nations to self-determination” along with their rejection of the defense of unions and lots of other things that they consider to be out of line with their “new thinking”, but in their “detailed critique” they do not have a single reference to either of Trotsky’s seminal essays on the Ukraine. So much for the International Committee’s “detailed critique”. We do not regard Trotsky’s discussion on the Ukraine as the final word on the subject, obviously many things have changed since Trotsky wrote his article in the late 1930s, but neither do we simply ignore it. One would think that anyone who calls themselves a Trotskyist would at least engage with the material Trotsky wrote on the Ukraine. But as far as David North and the WSWS are concerned Trotsky’s writing on the Ukraine never happened. In all their coverage of the Ukraine crisis – and I have no doubt that of the 5,000 articles a year produced by the WSWS factory, there must have been several dozen on the Ukraine in the past two years, there is not a word on Trotsky’s analysis of the Ukraine. Contrast this with the position of the Internationalist group (League for the Fourth International). Some two decades ago, Jan Norden, the leader of that group, wrote a well researched article on the Ukraine in which he explains why he thinks Trotsky’s analysis is no longer relevant. I happen to strongly disagree with Norden, but I can respect the fact that he engages with Trotsky’s writing on the subject instead of making believe they don’t exist. Our understanding of how revolutionaries should approach the crisis in the Ukraine owes something to Trotsky while we also try to bring his analysis up to date. The status of the Ukraine has changed considerably since the fall of the Soviet Union and its accession to independence shortly thereafter. And obviously it has changed dramatically since the crisis of Ukraine emerged two years ago leading to the fall of the Yanukovych regime, the accession to power in Kiev of a reactionary regime allied with Western imperialism, the annexation of Crimea and the outbreak of Civil War in the East. Our perspective, owes much to Trotsky’s thesis that in order to fight the right wing influence of nationalism, it is necessary to support the right of Ukraine to self-determination. When the Ukraine was the victim of Stalinist oppression that meant supporting the right of Ukraine to secede and form its own nation. But in 2015 the only viable strategy that can unite the Ukrainian and Russian working class against their respective oligarchs is to oppose the dismemberment of the Ukraine. We do not want to see Ukraine go the way of Yugoslavia and break up into several tiny mini-states, each of whom has their own imperialist sponsors. That was a disaster for the working class of every part of the former Yugoslavia and would be a much bigger disaster were it to be repeated in the Ukraine. It was in that context that we put forward the position that revolutionaries should oppose annexations. 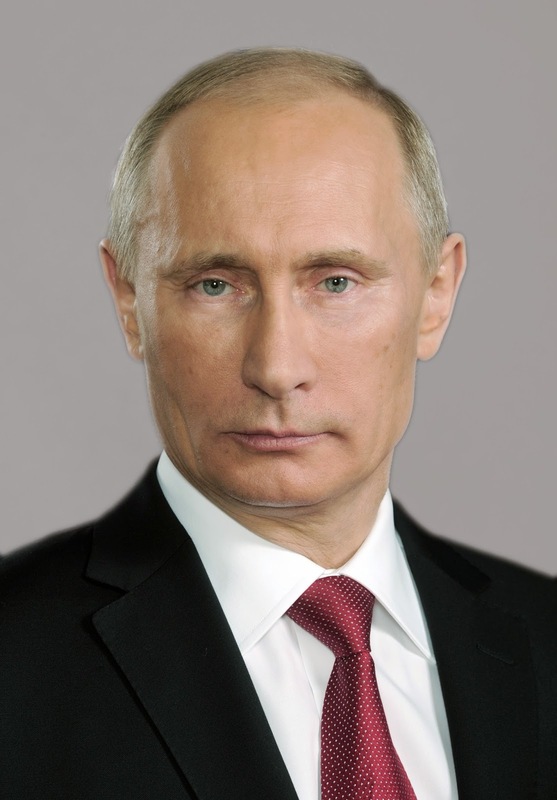 North latches onto this and accuses us of supporting the reactionary regime in Kiev. As far as North is concerned, either you support the maneuvers of Putin’s Russia in the Ukraine, or you support the reactionary Kiev regime. It’s an argument worthy of the Stalinists. He cannot imagine an independent revolutionary socialist position and therefore slanders his opponents as supporters of imperialism and fascism. We are opposed to both the reactionary regime in Kiev and their imperialist backers as well as Putin and Great Russian chauvinism. The situation is complicated by the fact that the forces in Ukraine fighting against the Kiev regime are receiving assistance from the Russian military. We do not oppose the right of those fighting against the Kiev regime to get assistance from wherever they can. That is a tactical issue that can only be decided by those on the ground with knowledge of the concrete situation they are facing. But neither do we solidarize ourselves politically with the pro-Putin elements in the Donbass. 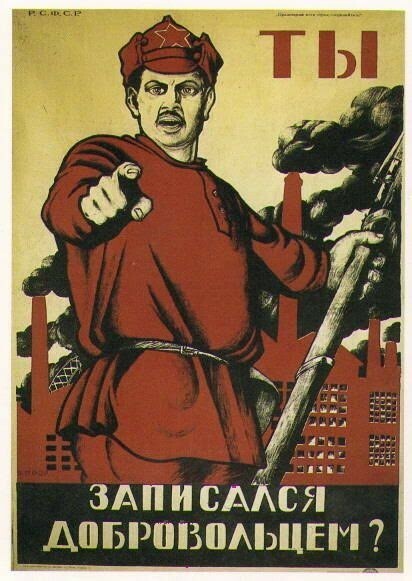 We most certainly support the defense of the working class in the Donbass against the Ukrainian military, but we do not support the move to create a separate Donbass Republic that would be an appendage of Russia. And here it is of some interest to note that while denouncing all their political opponents as either lackeys of imperialism or “pseudo-left” the WSWS never articulated any position at all towards the Donbass People’s Republic. That’s a nice situation to be in since you can never be wrong because no one can ever pin down exactly what your position is. We make no claims for infallibility in our discussion of the Ukraine. The situation is indeed very complex and changing rapidly. Part of the reason we wrote about the situation in the Ukraine is to encourage a serious discussion, especially among those who look to the traditions of Trotskyism for some guidance. But what we get from North instead of a serious discussion are lies and slanders rivaling the worst garbage you can find on Fox News. Some Trotskyist he is! North throws two other major accusations our way in his foreword. He accuses us of “supporting Syriza” and their betrayal of the Greek working class. Frank Brenner addresses the question of Greece and Syriza so I will discuss the other major accusation – that we think imperialism has overcome its contradictions and that we support a version of Karl Kautsky’s theory of “ultra-imperialism”. Like North’s other accusations, this is complete nonsense. Kautsky articulated his theory of ultra-imperialism in 1914, just before the outbreak of World War I. He maintained that since imperialism had matured to the point where the entire globe had been divided up into cartels, future rivalries between competing imperialist powers need not resort to war with all its risks and potential to cause far more losses than gains. Rather he foresaw that the cartels would come to some kind of agreement as to how to divide the world amongst themselves and avoid future conflict at least on the military front. Lenin and other Marxists strongly disagreed with Kautsky and World War I proved to be a very convincing refutation of his thesis. Steiner began his article by counting the number of times the resolution used the words “war” (97), “imperialist” (23) and “imperialism” (36). Steiner, it seems, would have his readers believe that these were words that appeared infrequently in the writings of Lenin, Luxemburg and Trotsky! Of course one expects lots of references to war and imperialism in a resolution on the fight against war, but in this case there is very little content behind those words. The SEP sees imperialism in 2014 as a return to 1914 and are convinced that history is repeating itself complete with a tense summer of international incidents reprising the tension of the summer of 1914. But imperialism while it continues to plague the planet is very different today than it was 100 years ago. For one thing, the use of military power to back up economic interests, while certainly still in play, is embarked upon with much greater reluctance today, as witnessed by the obvious paralysis of the Obama Administration toward the events in Syria, Iraq and now Ukraine. It is hard to take this nonsensical combination of apathy and stupidity seriously. Steiner fails to enumerate the objective changes that have rendered imperialism so much more peaceful and risk averse than it was a century ago. He seems not to have noticed that the United States has been at war, on a virtually continuous basis, for a quarter century; that its military operations have ravaged entire countries, killed hundreds of thousands of people, and created fifty million refugees; and that it is engaged in a global deployment of military forces unprecedented in its history. Are these all manifestations of a “much greater reluctance” to use military power than was the case 100 years ago? Well suppose we actually consider what I wrote dispassionately for a moment. Granted that imperialism still plays a terrible role in the world today. Where did I deny that? But is it true or not that it is more reluctant today than it was 100 years ago to dispatch the military to solve its problems? The answer should be obvious and it is not even necessary to go back 100 years to see it. Let us just go back 38 years to the height of the Vietnam War. The United States at that time had committed over half a million troops to subjugating that rebellious country in the interests of imperialism. Have we seen anything comparable since? The fact is that the ‘Vietnam War Syndrome’ has been and remains a reality in political calculation when the ruling class considers its options. It knows from the experience of the Vietnam War when it faced not only massive protests against the war at home, but increasing rebelliousness and outright acts of mutiny from the soldiers in Vietnam, that it cannot count on having a massive influx of ground troops in dealing with a vexatious international problem. Remember that it took a ruthless propaganda campaign on the part of the Bush Administration, strengthened by the panic that set in after Sept 11, just to launch the wars in Iraq and Afghanistan. And the ground troops committed in those wars were never more than 10% of what we saw at the height of the Vietnam War. None of this means that “imperialism has become more peaceful”, a phrase I never used. It simply means that the options open to imperialism today are more limited than they were in the past. And that is largely the result of the past struggles of the working class and of the people in the colonial world against imperialism. It does make a difference that the countries of Africa gained their independence after bitter struggles lasting decades. At the same time, we can also say that while imperialism is constrained in its ability to reshape the world in its image, its ineffectiveness is inversely proportional to its violence. With the modern weapons and technology available to the imperialist powers, they are able to cause destruction on a global scale unmatched in any previous era. There has been no conflict remotely approaching the level of World War II since the end of that war, but even some of the – by comparison –minor conflicts since then can result in massive casualties. For instance, the first Gulf War, which barely lasted a few weeks and involved a minimal commitment of ground troops on the part of the U.S. still resulted in hundreds of thousands of Iraqis killed. But the other side of the violence of imperialism is its ineffectiveness. Is there anyone who can seriously argue that the reluctance to commit ground troops has not had its effect on U.S. policy in Syria and Ukraine? If not then perhaps David North can tell us why Assad is still in power in Syria even though the U.S. and its European allies have been trying to evict him for the past five years? Sure, they can mount a coup in Libya and murder its former leader Gaddafi. But what have they replaced it with? The saga of imperialist intervention in Libya is a dramatic confirmation of the problems faced by the imperialist powers today. They have the ability to destroy societies, but seem incapable of building new ones. It’s a very different situation than when the British Empire could go in and install a puppet regime that would do their bidding and even recruit native troops to join the colonial army. Today, even the most rabid Republican hawks have not – yet – advocated the use of American ground troops in the Civil War in the Ukraine. And Donald Trump, who is without doubt the most rabid of the psychotics seeking the Republican nomination for President, is actually an isolationist who believes the U.S. should stay out of the affairs of those foreigners caught up civil wars in Syria and the Ukraine. Only someone who is willfully blind, or who has an agenda that has nothing to do with an objective assessment of the current state of the world, would deny that imperialism today is far more constrained in its ability to effect its strategic goals than it was a century ago. As I stated in the article I wrote, this does not mean that there is no longer a danger of imperialist war and even nuclear war. But I was trying to focus attention on two points that have been deliberately obscured by the SEP resolution. First, that the nature of imperialism today has indeed changed from the imperialism of a century ago. A century ago, the colonial system still dominated the planet and the British Empire was still intact. Today the colonial system has mostly disappeared with the rise of national independence movements in the post war era. That does not mean that imperialism is no longer deeply involved in the affairs of Africa, Asia and South America. But the character of that involvement has changed drastically. Whereas a hundred years ago you had direct military occupation and rule by a foreign power, today imperialism works largely through political, economic and military proxies. But these proxies are hardly reliable and oftentimes turn against their bankrollers. One need only mention in this context the rise of ISIS, which began as one of the proxies of the Western powers fighting against the Assad regime in Syria. The other thing to recognize about the nature of imperialism today is that the traditional players on the scene, the old European powers and the United States have been joined by new imperialist powers that are challenging their hegemony, most conspicuously China. This is an “inconvenient truth” for North and the WSWS who would prefer to argue that China (and Russia) are not imperialist powers. We have already pointed to the threadbare nature of their arguments on this score and we will have much more to say about the nature of Russia and China in a series of subsequent articles. But as far as the WSWS is concerned, nothing much has changed about imperialism since Lenin wrote his classic work on that subject a hundred years ago. Second, I wanted to point out that while the danger of imperialist war still lurks, the WSWS has indeed exaggerated that danger to the point where it is impossible to read an article about China in the WSWS without coming across the de rigeur statement somewhere toward the end that whatever incident the article is discussing “points to the increasing danger of war against China.” This is crisis mongering at its worst and has nothing to do with Marxism. It is in fact one of the legacies that David North has inherited from Gerry Healy. Crisis mongering was a tried and true technique of Gerry Healy’s and he used it to good effect in order to insulate members further into the bubble he created, leading them to believe that the either one remains a loyal member or one joins the camp of counterrevolution. North uses the same method of scaring new recruits with the proposition that either you join his party now and bring with you hundreds of thousands of others or the planet will go up in flames shortly. This is not a reasoned argument for opposing imperialist war but a weapon used by a sect that is rapidly devolving into a cult bent on inculcating its members with the idea that there is no life outside of their little group. What is a Revolutionary Leader? But the political logic of their struggle against the International Committee and their defense of Syriza has led Steiner and Brenner to forge a political alliance with Savas Michael-Matsas, who supported Healy unconditionally in 1985 and broke with the International Committee. I have already said something about this previously in response to a comment we received. I will repeat part of that comment for the benefit of a broader audience. The first thing to be said is the obvious: this indictment of Savas is from 30 years ago. If North wants to update his criticism, he is welcome to. But he obviously doesn't feel the need. His attitude seems to be: once a sinner, always a sinner. Just because you were on the right side of a political split 30 years ago is no guarantee that you continue to be right today. When I was examining the situation in Greece I was impressed by the contrast between the lifeless sectarian approach of the WSWS and the approach of Savas and the EEK. While I do not necessarily agree with every position taken by the EEK I can say that here was a group that recognized that the irreconcilable contradiction between the program of Syriza and their goal of remaining within the EU would inevitably lead to an implosion. The EEK denounced Syriza's accommodations with the bourgeoisie in language just as strong as the WSWS. But unlike the WSWS, the EEK was engaged with those millions of Greek workers and youth who supported Syriza. It saw the necessity of having a continuous dialogue with those forces and understood that the Greek revolution would become a reality only if a significant portion of Syriza's supporters could be won to the program of revolutionary socialism. And it also understood that simply repeating propaganda about the need for socialism and the need for a revolutionary leadership was never going to win the allegiance of those forces. I make no apologies for working with Savas Michael-Matsas and the EEK to advance our common goal of the Greek and European socialist revolution. A further point is that there is indeed a huge difference between North’s role as an aspiring revolutionary leader and that of Savas. In North’s case, we have someone who has been afraid to be photographed in public for the past 30 years. The only photographs of North that are allowed onto the WSWS never show his face. Presumably this has something to do with his dual function as the head of a business and the leader of a political group. It seems that when it comes to his public image the former takes priority over the latter. Never has there been a “leader” like this. Such a situation is unprecedented in the entire history of the Marxist movement. Savas on the other hand is a person who had his life threatened by the Greek neo-Nazis on numerous occasions yet he is not afraid to appear in public and takes advantage of whatever opportunity he is given for publicizing the program of the revolutionary socialist movement in Greece. David North. His face cannot be photographed. North takes exception to a couple of posts I wrote pointing out how the WSWS was denigrating the experience of the Greek working class and how this was an example of sectarianism. In passing he claims that Brenner “did not provide the names of his Marxist sources.” Not true: I did provide a name, Trotsky. And a quote: “'Sectarians are capable of differentiating between but two colors: red and black. So as not to tempt themselves, they simplify reality. They refuse to draw a distinction between the fighting camps in Spain for the reason that both camps have a bourgeois character' (Trotsky)”. “However, it is not enough to create a correct program. It is necessary that the working class accept it. But the sectarian, in the nature of things, comes to a full stop upon the first half of the task. Active intervention in the actual struggle of the working masses is supplanted, for him, by an abstract propaganda for a Marxist program. “Every working-class party, every faction, passes during its initial stages through a period of pure propaganda — that is, the training of its cadres. The period of existence as a Marxist circle invariably grafts habits of an abstract approach to the problems of the workers’ movement. He who is unable to step in time over the confines of this circumscribed existence becomes transformed into a conservative sectarian. The sectarian looks upon the life of society as a great school, with himself as a teacher there. In his opinion, the working class should put aside its less important matters, and assemble in solid rank around his rostrum. Then the task would be solved. To turn your back on the actual development of the working class – that would be pretty much what I was accusing North's party of doing in my posting about experience in scare quotes. But all too typically North ignores the substance of my argument or indeed the existence of this article by Trotsky. Instead he insists with great vehemence that Marx, Engels, Lenin and Trotsky were “the most irreconcilable opponents” of opportunism. This is not exactly news, but it is useful in re-framing the argument. If you do not turn your back on the actual development of the Greek working class, if you do not react to that development “with contempt” (a favorite WSWS phrase), then according to North you are an opportunist and a supporter of Syriza. So when Trotsky talks about “the dialectical interaction between a finished program and a living (that is to say, imperfect and unfinished) mass struggle,” all of that is ... opportunist demagogy. “It is not enough to create a correct program, it is necessary that the working class accept it.” You might say this is the essence of the Transitional Program. North quotes some of Trotsky's remarks on the Transitional Program, but only those remarks that apply to the first part of this statement: Marxists need a correct program. And who could argue with that? For any Marxist revolutionary, a program that corresponds to the objective needs of the working class is the absolute starting point of politics. So from this we are to believe that all of Trotsky's immense political experience as a revolutionary comes down to this: if the workers refuse to accept the program of socialist revolution, THEN IT'S THE WORKERS' FAULT!! If this is indeed what Trotsky thought, then the effort he made to write the Transitional Program and educate revolutionaries in its use makes no sense. What sort of 'transition' do you need if all of revolutionary politics consists of handing the working class a take-it-or-leave-it proposition? Trotsky however was not a sectarian. He was, among other things, the leader of the Petrograd Soviet in 1905, the leader of the Red Army, the single greatest orator of the 1917 revolution who held mass audiences spellbound for hours. (If you read the famous biography of Trotsky by Isaac Deutscher, you will find that he originated a startlingly new way of delivering revolutionary messages to illiterate peasants which reads today a bit like hip hop a century avant le lettre.) Like his comrade Lenin, Trotsky was a revolutionary who paid the closest attention to the ups and downs of mass consciousness, who fought tenaciously to engage with that very thing North loves to hate – the EXPERIENCE of the masses. “What will the speed be? Nobody can foresee. We can see only the direction. Nobody denies that the direction is a correct one. Then we have the question, how to present the program to the workers? It is naturally very important. We must combine politics with mass psychology and pedagogy, build the bridge to their minds. Only experience can show us how to advance in this or that part of the country. For some time we must try to concentrate the attention of workers on one slogan: sliding scale of wages and hours. In effect. Wonderful little phrase: it allows you to rearrange your opponent's arguments to say whatever you want them to say. Where did we ever say that it “is impermissible to intrude upon the blessed psychic state of virgin innocence” of the working class? Where did we ever even imply this? (Personally, I would have found the purple prose of such a proposition repugnant, to say nothing of its inane content.) What we did insist on was the need to ENGAGE the consciousness of the working class, viz. “build a bridge to their minds”. Engage doesn't mean adapt, it doesn't mean kowtow – BUT IT ALSO DOESN'T MEAN IGNORE. Consider what Trotsky is saying in this passage: we Marxists need a correct program but we also need to CONNECT with the masses. And to make that connection, Trotsky is willing to appeal to something that would normally be dismissed as backwardness: the empiricism of the masses, their susceptibility to panaceas (single tax, bimetallism etc.). He wants a transitional demand – 30 for 40 in this example – to become a new 'panacea', one that will “spread like wildfire in the masses”. Except this isn't a panacea like the others – this one would allow the masses to see THROUGH THEIR OWN EXPERIENCE that capitalism cannot meet this demand, that it cannot provide many millions of them with decent work at decent wages. That is how a revolutionary party engages the masses and works to raise their political consciousness. What North objects to, in the most strenuous terms, is any political activity which attempts such an engagement. In other words, what North objects to is the core concept of the Transitional Program. To begin with, a word about demoralization. It's interesting that North, who has repeatedly taken me and Steiner to task for “smuggling in” psychology over the course of our many polemics, has no qualms about casting psychological aspersions when it suits his purpose. Steiner he has accused of being a neurotic and now I am demoralized. Only North is free from any such ailments, though he seems an expert in judging them in others. A moment's pause is necessary for the smoke to clear from this verbal fusillade. So, it turns out that I am “irremediably corrupted by cynicism” and that I have severed all “intellectual and moral links” not just with socialism but with “all forms of progressive thought and culture”. Which practically makes me ... a total reactionary, no better than a fascist! I would be completely and utterly devastated, except that since I am already demoralized, it's hard for me to feel any worse than I already do. But as I lift myself off the floor, I have to wonder: all this piling on of abuse on the basis of what? A single sentence. And what is so terrible about this sentence? Didn't we earlier see Trotsky say much the same thing? : “It is not enough to create a correct program. It is necessary that the working class accept it.” But North does a little polemical surgery, ignoring the “IT ISN'T ENOUGH”, and simply refashions the sentence to mean: Brenner is AGAINST PROCLAIMING THE TRUTH. If this isn't a shameless twisting of words, then nothing is. This is a blatant case of intellectual bad faith, and typifies North's MO throughout these polemics. For the record, here is the quote in its full context. “But seeing through Syriza is only the barest beginning of a revolutionary policy. Far more important is to get the masses to see through Syriza. In revolutionary politics IT ISN'T ENOUGH TO KEEP PROCLAIMING THE TRUTH. If it were enough, the revolution would have happened decades, even centuries, ago. “YOU HAVE TO MAKE THE MASSES UNDERSTAND THAT TRUTH, and for that you have to engage with them and their struggles. You have to BUILD A BRIDGE between their 'Syriza consciousness' and socialist consciousness. And for that you have to stand with them in their experiences - the election in January, the countless marches, the historic OXI to austerity. So, all of North's ringing rhetoric about being a great defender of the truth – all of that is PREMISED ON AN OUTRIGHT LIE, a flagrant misrepresentation of what I said. A defense of truth based on lies – it would take a George Orwell to fully appreciate this fine example of double-speak. A couple more things about what I wrote. The first sentence of this quote says: “But seeing through Syriza is only the barest beginning of a revolutionary policy.” Which by any reasonable interpretation would indicate that myself and Steiner are not Syriza supporters, quite the contrary. Our 'sin' in the eyes of North and company is that we wanted to engage Syriza's many supporters – the workers, youth and intellectuals who wanted to fight austerity. We wanted to created a bridge, as I said, between their 'Syriza consciousness' and socialist consciousness. Which sounds to me exactly like the approach that Trotsky was advocating in the earlier quote from him about the Transitional Program. There is also the sentence after the one that so exercised North, the sentence which reads: “If it were enough [i.e. for revolutionaries to just keep proclaiming the truth], the revolution would have happened decades, even centuries, ago.” North ignores this, even though, as an example of a reasoned argument, it seems to me a rather telling one. Indeed it seems to me that anyone claiming to be a revolutionary who has no answer to that argument is NOT REALLY A REVOLUTIONARY, no matter how loudly they shout about their devotion to the truth. To end on a somewhat different note, it occurs to me that next year will mark 40 years that North has been the leader of his party (initially the Workers League, now the Socialist Equality Party). As it so happens, it will also mark 30 years since North took over the leadership of his international grouping, the ICFI. That is a very long time in political leadership, a lifetime in fact. And it seems a fitting moment to glance back at the achievements of North's leadership, which I would say are the following: in 40 years North has built a business (very successful), a website (moderately so) and a movement (not so much). No doubt some would take issue with this assessment, but I think that an outside observer, without any axe to grind, wouldn't find this very far off the mark. Now we already know from North that if the workers haven't come to his party, then ultimately the responsibility for that is with the workers themselves. So, I'm sure he has no worries about the slow or no-growth of his movement. Still you would think that AFTER 40 YEARS of not much success on this score, there might be some rethinking of what the party is doing. You might think that a party with that sort of track record would be just a bit less ready to dismiss “with contempt” the experiences of the masses. But if you think that, then your aren't a sectarian. In any case, demoralized though I am, I want to congratulate North on his ever so long tenure at the helm of his party. Given his success thus far, I'm sure that it will only take him another 40 (or 60 or 80) more years to lead it to a great political triumph. While the WSWS routinely says they oppose the Putin regime, they have consistently given it backhanded support by attacking with greater fervor any movement against Putin. Typical is this article from the WSWS that appeared shortly after the election of 2011. It had the title, Pro-market opposition holds Moscow rally, http://www.wsws.org/en/articles/2011/12/russ-d27.html , suggesting that the opposition is solely “pro-market” and denouncing the “pseudo-left” groups who expressed their solidarity with the opposition to Putin. Norden wrote his document in 1993 when he was a leading member of the Spartacist League. On Trotsky’s Advocacy of an Independent Ukraine, Spartacist, Winter 1993-94 Issue.